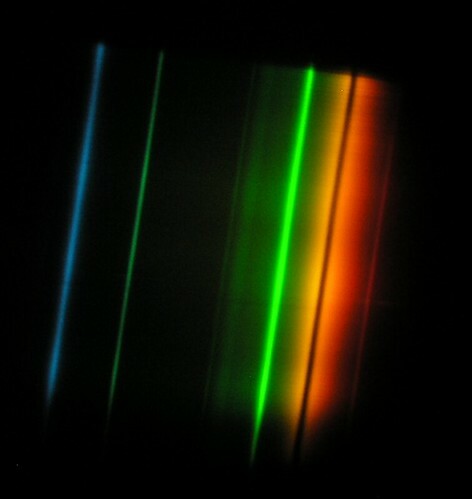 Using simple prism spectroscope mounted on a telescope to observe spectrums of light bulbs, street lights, and Fraunhofer lines in solar spectrum. 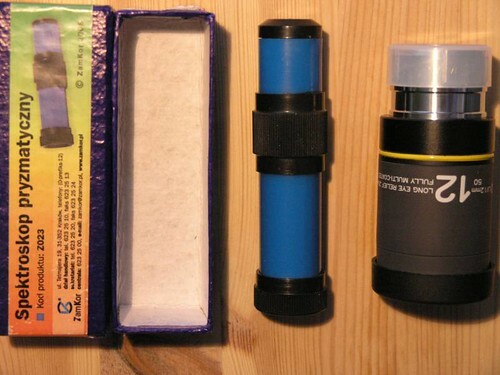 I bought prism spectroscope in on-line shop zamkor.pl, which sells various shool aids (if you want something like this search for hand held spectroscope, they are sold by may companies). It's a simple construction made from 3 prism, which allows observing the spectrum in line with the light source. 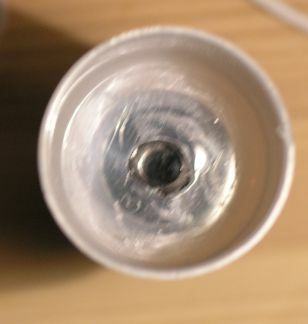 Plastic (or metal) housing ends with one side with a slit that passes very narrow line of light on to the prisms. On the other side last prism displays the spectrum. 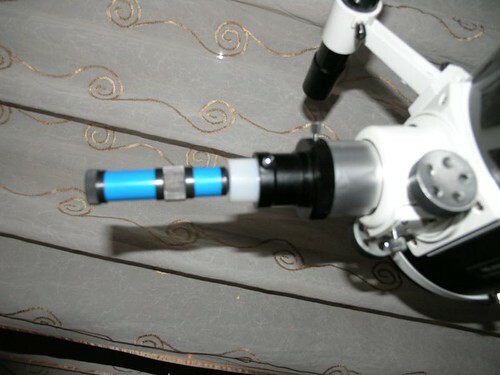 Ring on the spectroscope allows setting perfect focus. This construction is called also as double Amici prism (more on: Wikipedia, ioannis.virtualcomposer2000.com). If you have a filter wheel, or something else for changing filters you can compare efficiency of cutting city lights (on a street lamp) or overall characteristic using sunlight pointing the telescope on bright sky (not on the sun directly, or close to it!). As my spectroscope isn't made in any common for photography/astronomy size I could only take pictures with DSLR hand held by the prism. As this is very close object you camera may not catch perfect focus. To solve this try manual focus setting in macro range (30-5cm). Slit based simple spectroscope isn't good for small light sources like star of nebula - as you have to keep the star light on the slit, and make longer exposure photo as the light is faint. For such objects diffraction grating is much better (or spectroscope without a slit). You can put a circle shape diffraction grating on a simple filter (that doesn't cut VIS spectrum in any way), or use grating based Star Analyser.